"SUBMISSION TO MINISTER TO CORRECT AND PROMOTE AS4590 AS ECOMMERCE STANDARD"
OASIS XML Conference in Sydney in Oct 2006.
in eCommerce:A Best Practice Model"
Topology (Pyramid Network Architecture) for eCommerce Applications. act as an Information Aggregator. of the two conflicting Address formats in AS4590 has been used. provide a unique reference number for each transaction. The Council will have its own Reference numbers for permits. and complaints is a very simple application. Management Systems that the Hub Architecture will really breakdown. the City of Port Adelaide Enfield. The Council Reference is "TN 704"
The EDS State Government Reference is "CPAE013973"
This is just publishing the tender ! did not understand the problem. 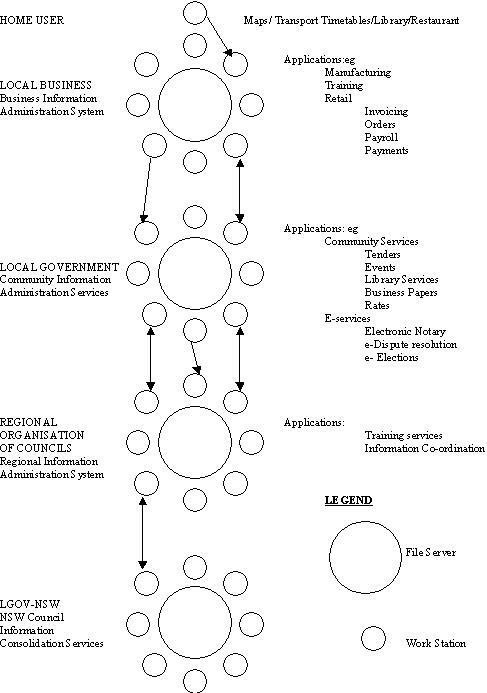 in eCommerce: A Best Practice Model"
and Small Business [DEWRSB] by OIC members in 2001.
be able to perform for the Local Councils. the technical issues at the heart of the problem. Association [AIIA]) because it cannot work efficiently. 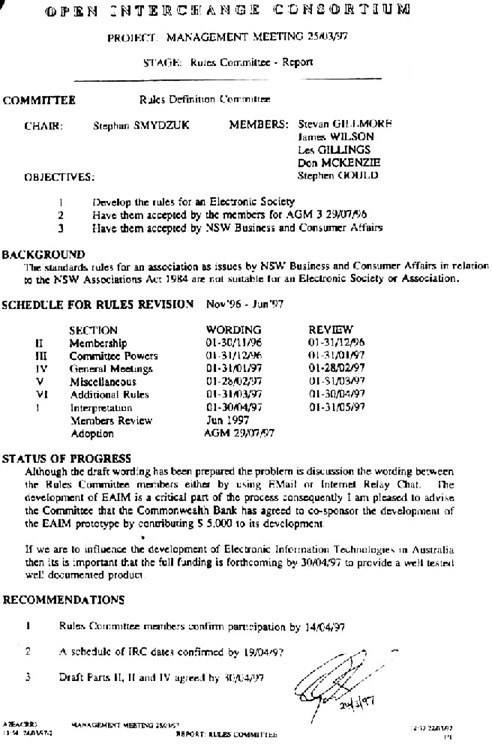 European Commission EDI Legal Committee in 1989.
that eCommerce projects based on VANS Hub Topologies can never work. 1	A single XML Address within AS 4590 ? 2	a proposal to UN/CEFACT to include a single XML Address in UN/CEFACT ? 3	the OIC 2007 education/awareness programme to promote effective eCommerce ? System using AS 4590 for Medium and Small Local Government Agencies ? Tourism, Waste Management, Recreation and Economic Development Strategies ? the first International Airlines Association Technical Committee ATA 100. Automation Code - was "way beyond EDI"
the prestigious Global Stockholm Challenge. should only be one XML Address standard. Does anyone see a problem with that recommendation ? and that also has two confusing Address formats.